• To developing our club members into technical players of the game of soccer and at the same time teaching the fundamentals of teamwork and sportsmanship. • To develop players’ highest potential, ultimately advancing them to the next level of soccer, to provide opportunities for selection to Olympic Development Programs (ODP), and to provide opportunities for players to earn a college scholarship. • To provide high caliber coaches that will fit the makeup of their team and will work within the Albion system. • We will compete in local, regional, national and even international competition to expose players to all levels of play and different styles and philosophies. In addition, U14 teams and above will focus on attending tournament competition around the country that will help players be recognized by college coaches. • To create an Albion culture where the player is taught to demonstrate good sportsmanship at all time. We believe that the success of this program is measured by its excellence on and off the field. • We will assist in player college searches; by helping to match player’s skill levels to the appropriate college and help the individual players communicate with the college coach. 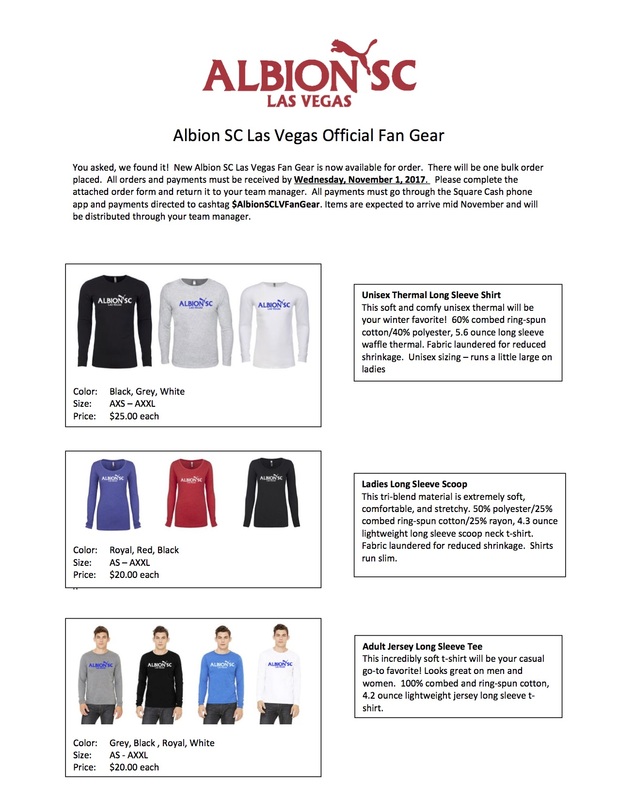 • Albion SC Las Vegas will provide a professional environment for all of our players to develop, train, and play a variety of competitive levels.